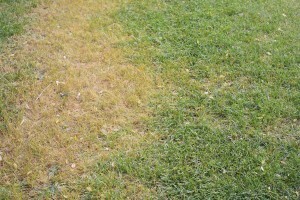 Don’t let your lawn turn brown this summer! Summer is a fun time of the year. There are cookouts, outdoor sporting events and many people frequent the beach. It would be a shame to come home from a long beach trip only to discover your lawn looks like the Sahara desert. Lawn care is more complex than most people realize. In order to have lush green grass this summer, you need to be educated on the correct lawn care practices. With that said, here are some tips so you can make your lawn a highlight of the neighborhood. Most people don’t even bother watering their lawns in the summer. It only takes a few minutes and it is so important for keeping a beautiful lawn. However, when you are watering, you do not want to overdo it. Don’t think you need to soak your lawn for good results. Also, if possible, water your lawn early in the morning. This is because you want it to be hydrated before the sun’s rays come out and dry up all the water. It is important to have patience when seeding your lawn. You may need to seed a few times before you can get the results that you are looking for. Water the seeded patches on a regular basis and you should have new grass before you know it! There is a common misconception about mowing grass. For whatever reason, many homeowners believe that their grass needs to be cut short for it to be healthy. This is not the case at all. When mowing your lawn, you should adjust the blades of your mower to the highest setting. Believe it or not, the soil is benefited when the grass is left high. This is true for a couple of reasons. For one, taller grass is able to absorb more sunlight. In addition, tall grass will provide shade that protects the roots and allows the ground to stay moist. Did you know that grass clipping actually can benefit your lawn? By spreading them over your grass, it will provide shelter for your existing lawn and help it grow. In addition, grass clippings still contain nutrients that will supplement your lawn. This entry was posted on Wednesday, June 28th, 2017 at 8:22 am. Both comments and pings are currently closed.